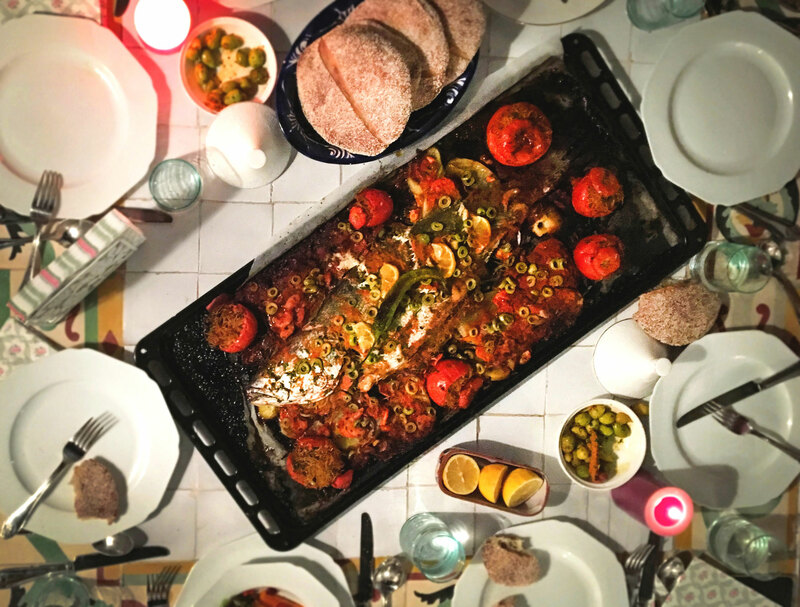 Chamsi says that coming to Morocco can be overwhelming – in a good way! The sounds, the smells, and the local culture can be a mystery to visitors and meeting Chamsi is the perfect way to dig beneath the surface and connect with local life in a more personal and meaningful way. Chamsi is an Algerian-Canadian, married to a Moroccan. 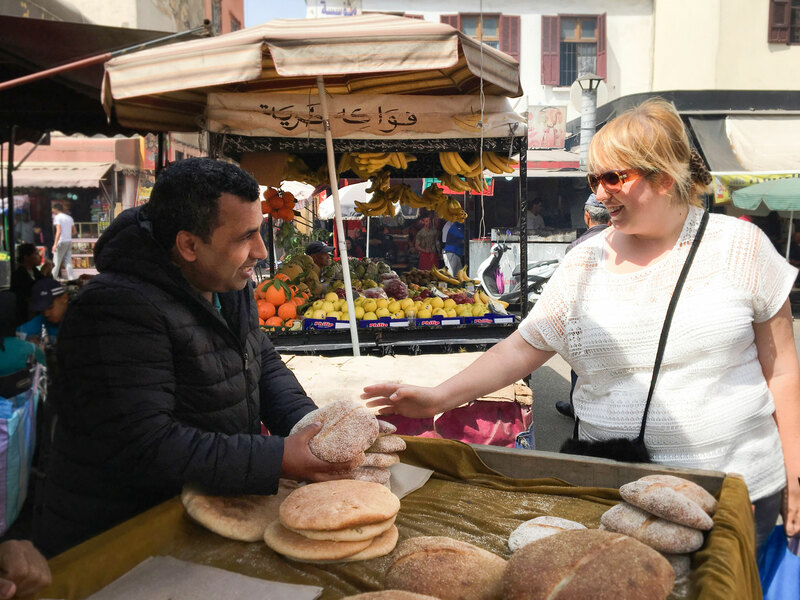 She and her husband have lived in Casablanca for three years and in that time she has come to love the local way of life. Of course, food has been central to her experience! 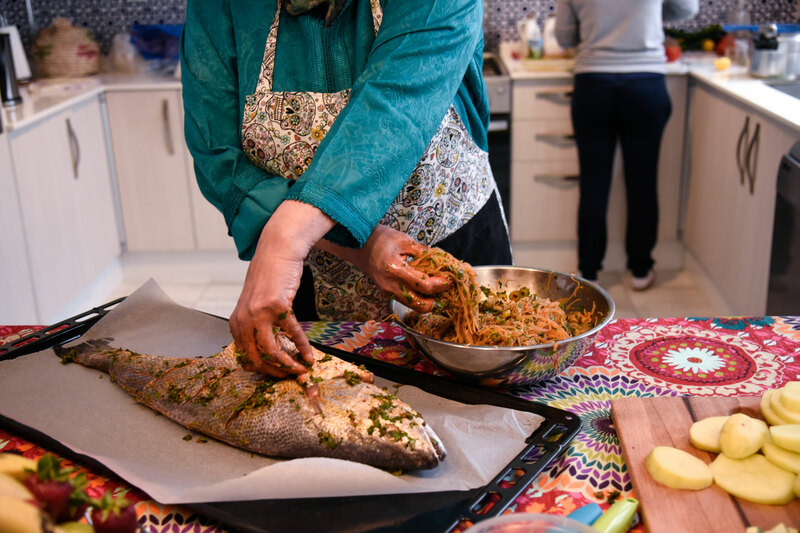 She has learned the ins and outs of Moroccan cooking from the best home-cook she knows – her mother in law, Lala Naima. 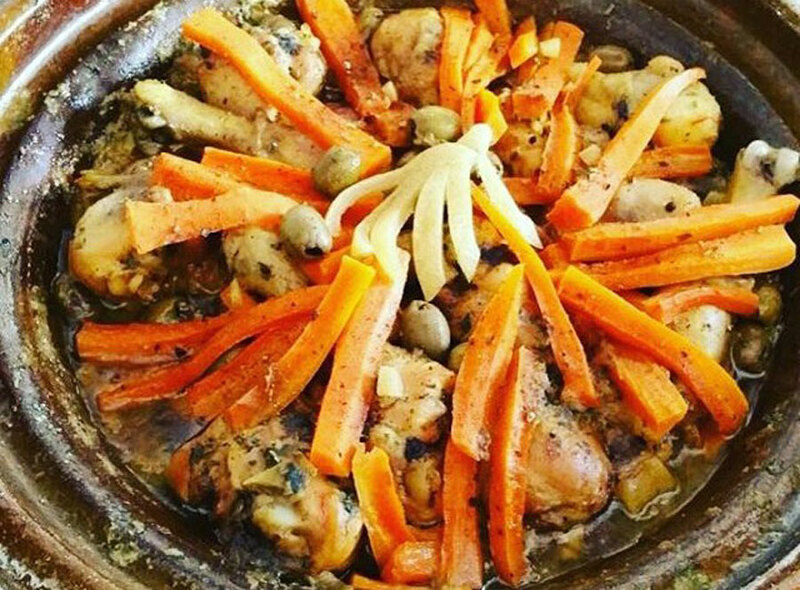 They believe that true, authentic Moroccan food is best when prepared at home and she is excited to share her recipes with travelers. 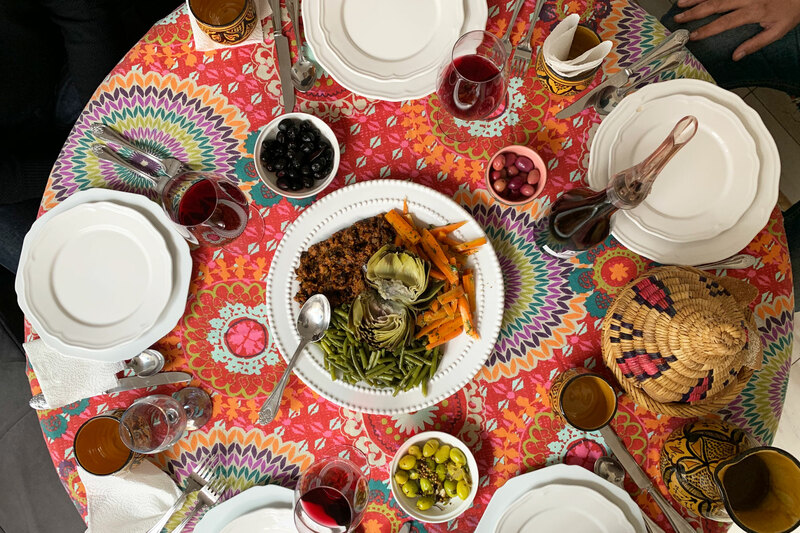 Chamsi is a professional photographer and has a great sense of color and texture, which means her food is both delicious and pleasing to the eye! She lives in a beautiful, newly built home with a large kitchen that's perfect for entertaining. Chamsi has a young son who might be home during your visit. 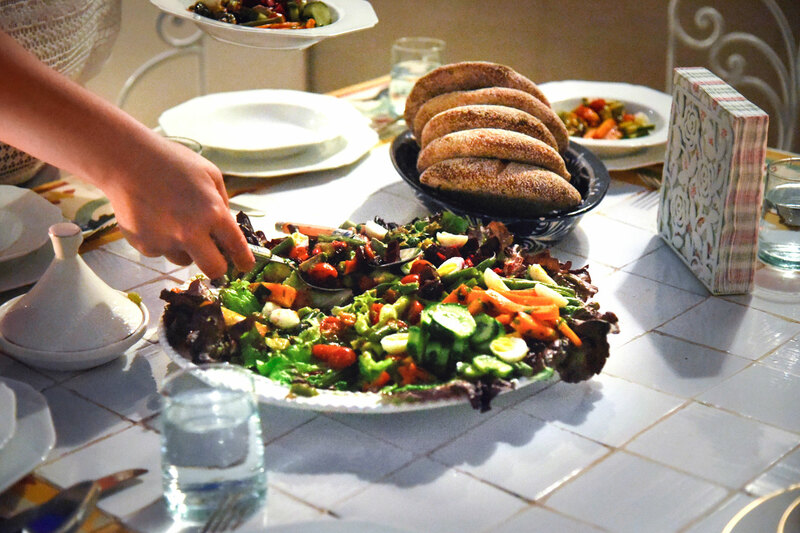 In-home meal: (1-8 guests) Join Chamsi and her family for an authentic Moroccan meal at their lovely home. 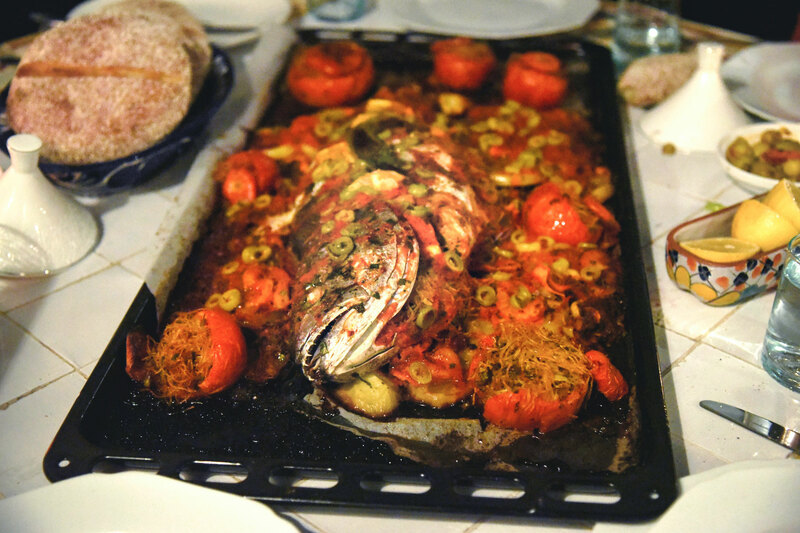 Chamsi prepares typical home-style dishes that are seasonal and often feature Casablanca’s local seafood. 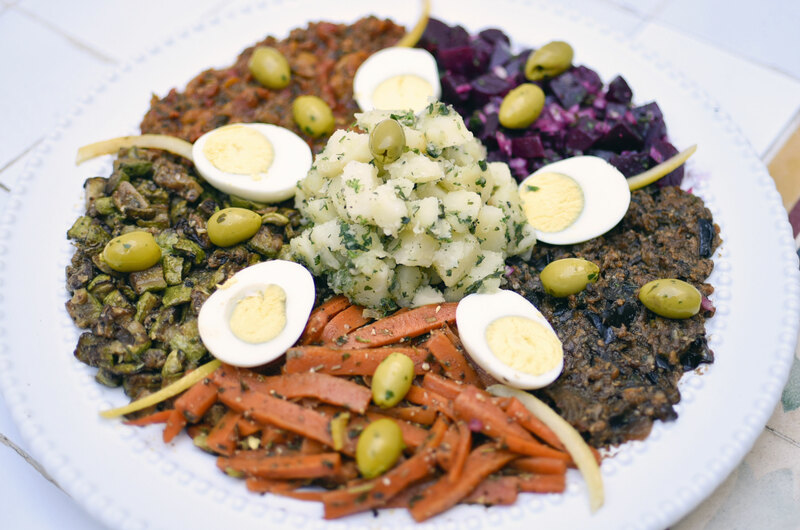 You might try lamb tagine with seasonal vegetables, marinated and grilled seafood, Moroccan lemon chicken with olives, couscous, tchackchouka (roasted bell pepper salad), camel burger or zaalouk (eggplant salad) with homemade bread. 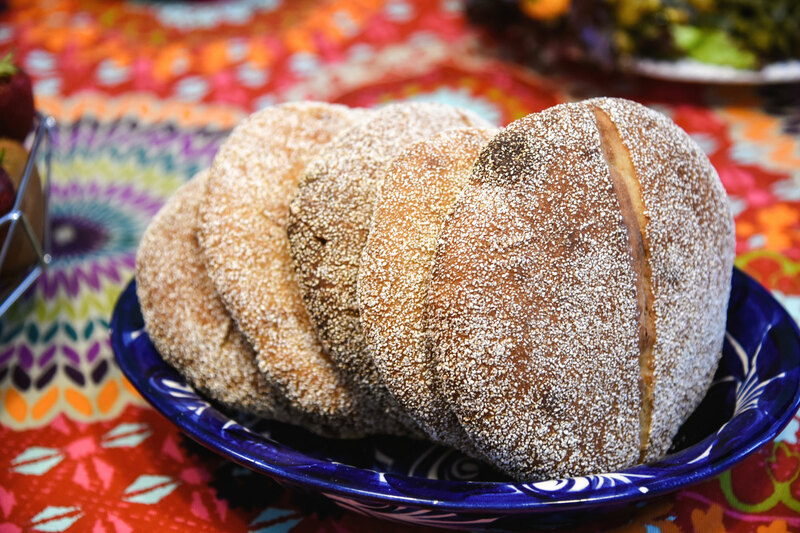 You will conclude your meal with a dessert such as milk pastilla, oranges with cinnamon or Moroccan cakes. 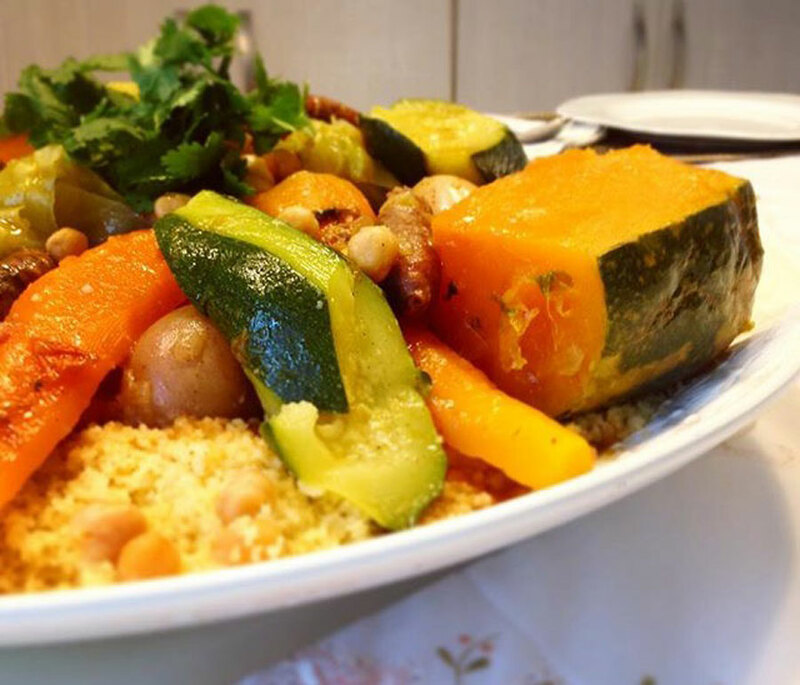 Chamsi can prepare a wonderful vegetarian meal so be sure to ask if you have any special dietary requests. 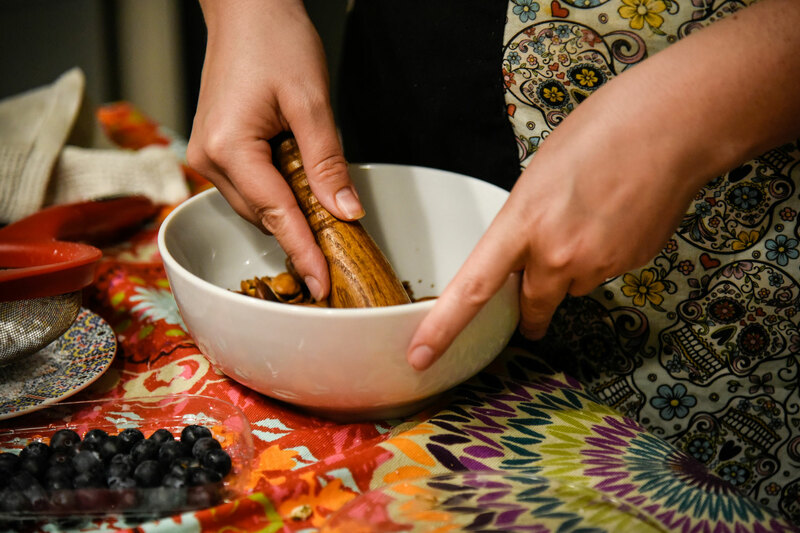 Cooking experience: (1-6 guests) Learn to prepare a Moroccan meal with Chamsi in her beautiful open-space kitchen. 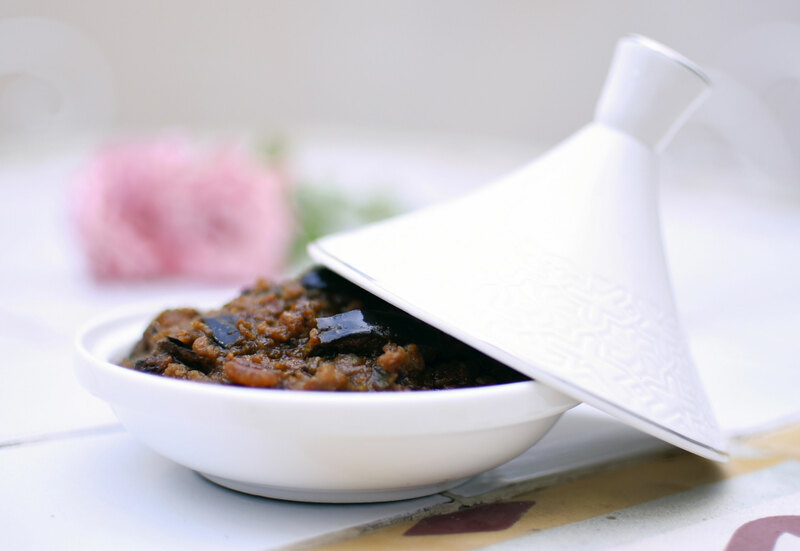 Be ready to roll up your sleeves and help prepare an authentic Moroccan meal. 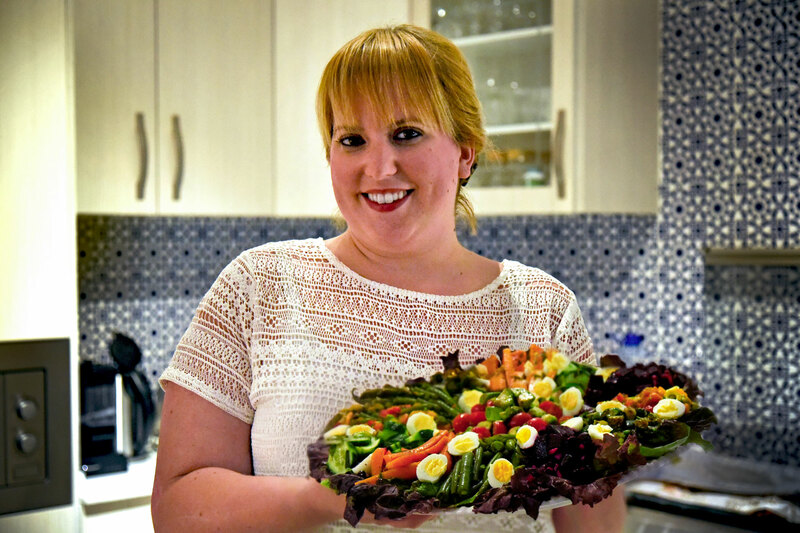 You’ll cook together for about an hour before sitting down to enjoy the dishes you helped prepare. Some preparation for your meal might be done in advance. 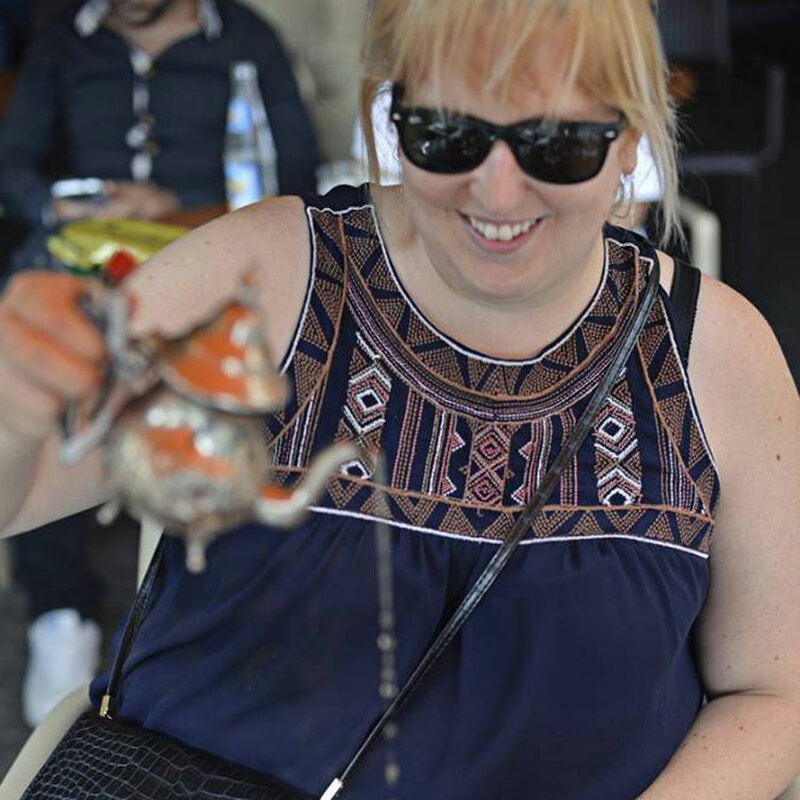 Market visit: (1-4 guests) Meet Chamsi at her home in the Hay El Hana, an upscale neighborhood in Casablanca. 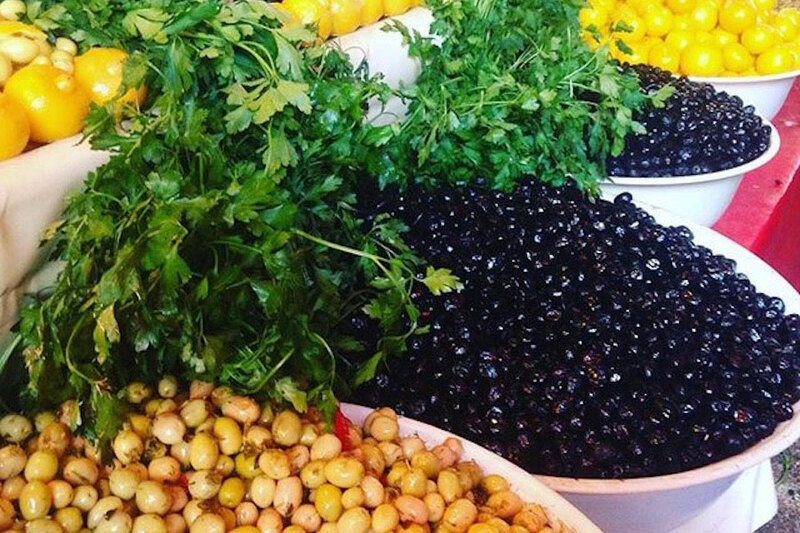 After a refreshing drink and getting to know each other, head out to visit the local market. Chamsi will help you navigate the market, which can be overwhelming to explore on your own. 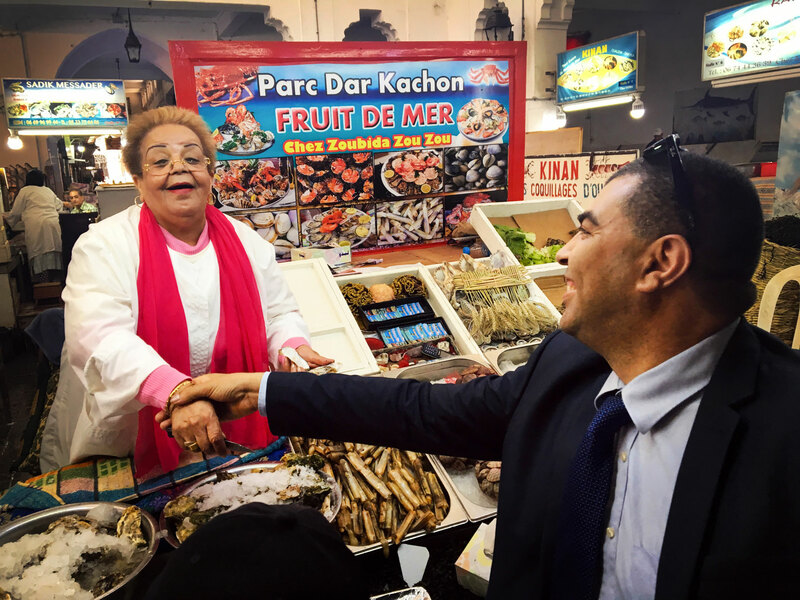 She’ll show you where she buys her fresh produce, take you to the meat market (not for the faint of heart but a true, local experience! ), and show you the spices that are on offer. Chamsi can help you do a bit of shopping if you’re searching for a certain ingredient. 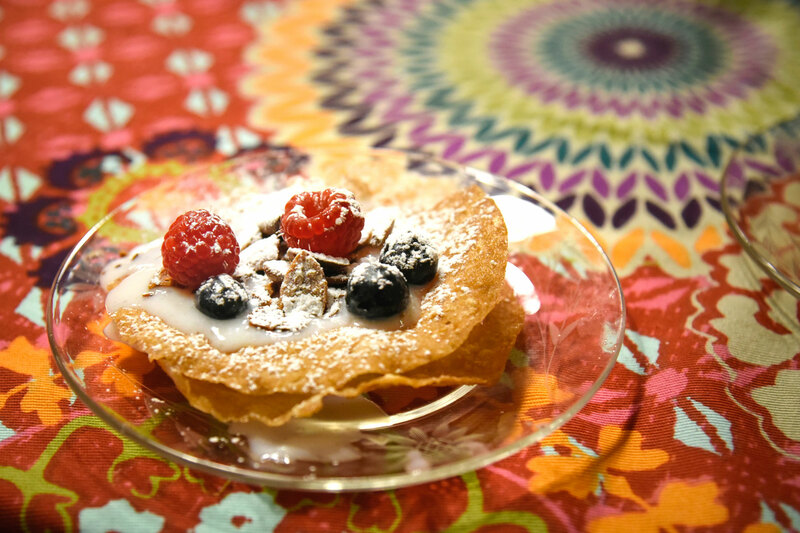 Once your market experience is complete you’ll head back to Chamsi’s home by car to get cooking! Please note that since Friday is a prayer day, the Friday morning market might not be as active as usual and some stalls might be closed. The evening Friday market tour is not offered. 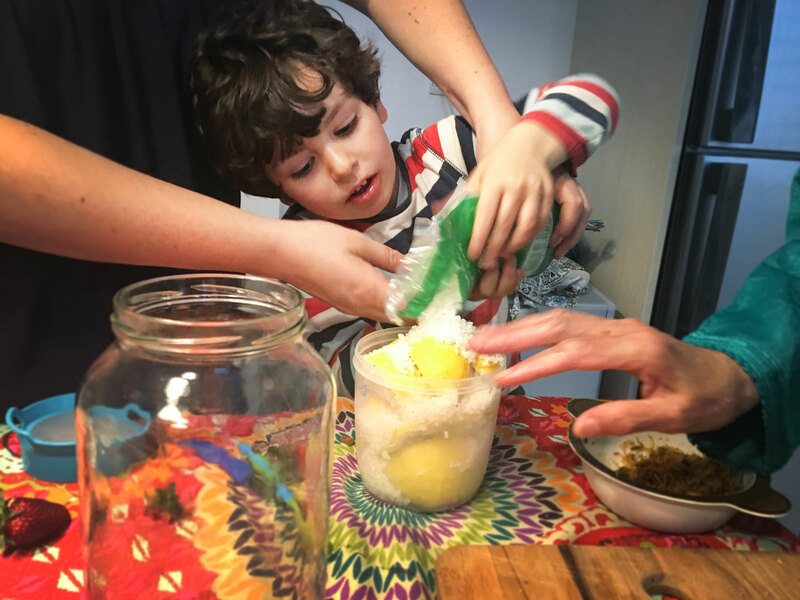 Notes: This is a family friendly experience, kids are welcome! Please note that for experiences during Ramadan there will be some changes due to the holiday. For dinner experiences booked during this time, dinner will be slightly later, at 8pm, observed after the fast. 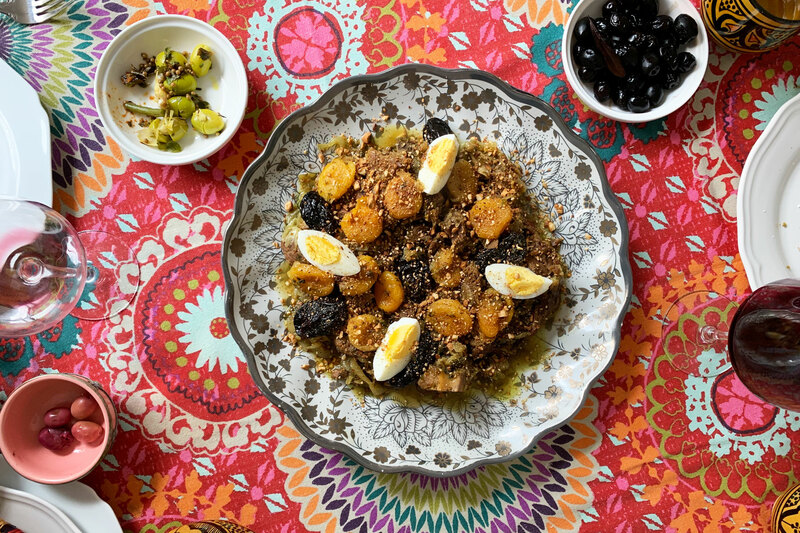 For market tour experiences, there is no tasting allowed at the market during Ramadan so Chamsi will provide a tour and you will buy ingredients and return to her home for the remainder of the experience where you will taste them. Also note that since Friday is a prayer day, the market might not be as active as usual and some stalls might be closed. Chamsi, was wonderful! I enjoyed every moment and we cooked a fabulous meal. 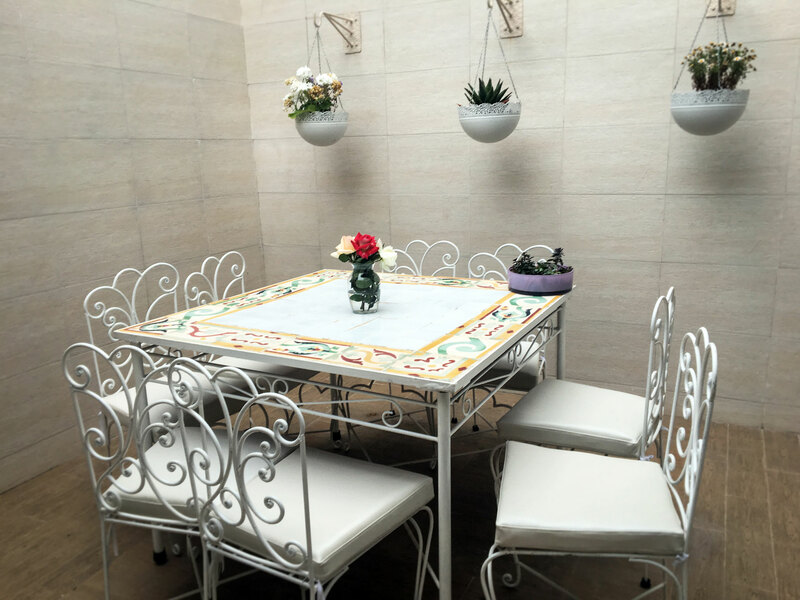 She is a lovely, warm and interesting person with a beautiful home offering tremendous hospitality. Be sure to book a visit with her as a great introduction to Casablanca. We had a wonderful and memorable experience in Casablanca with Chamsi as our host. 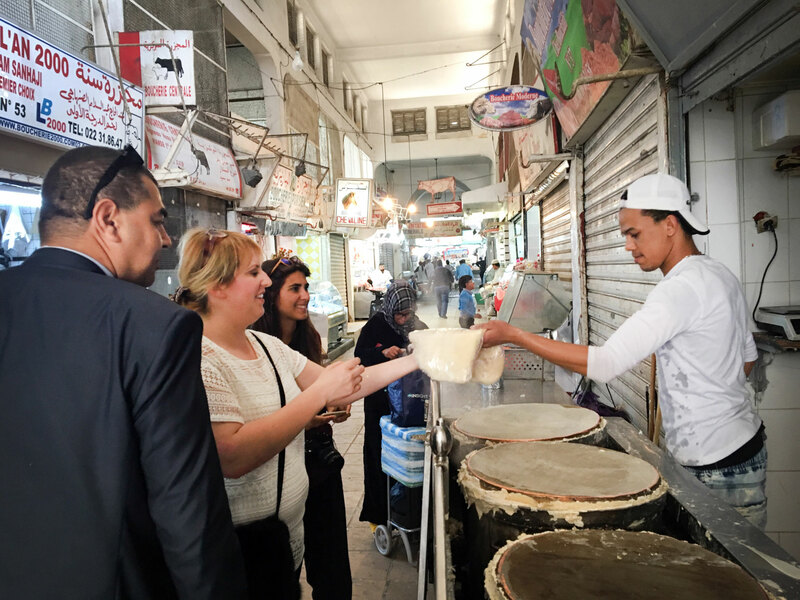 The market visit gave us a true cultural experience as well as cooking and eating the traditional dishes. It has definitely been the highlight of our trip and will recommend it to our friends! Wonderful family, wonderful home, delicious food. The whole family are great ambassadors for their country. Our host Chamsi and her family were awesome! We had a great experience! Chamsi was very knowledgeable of local culture and very well organized. 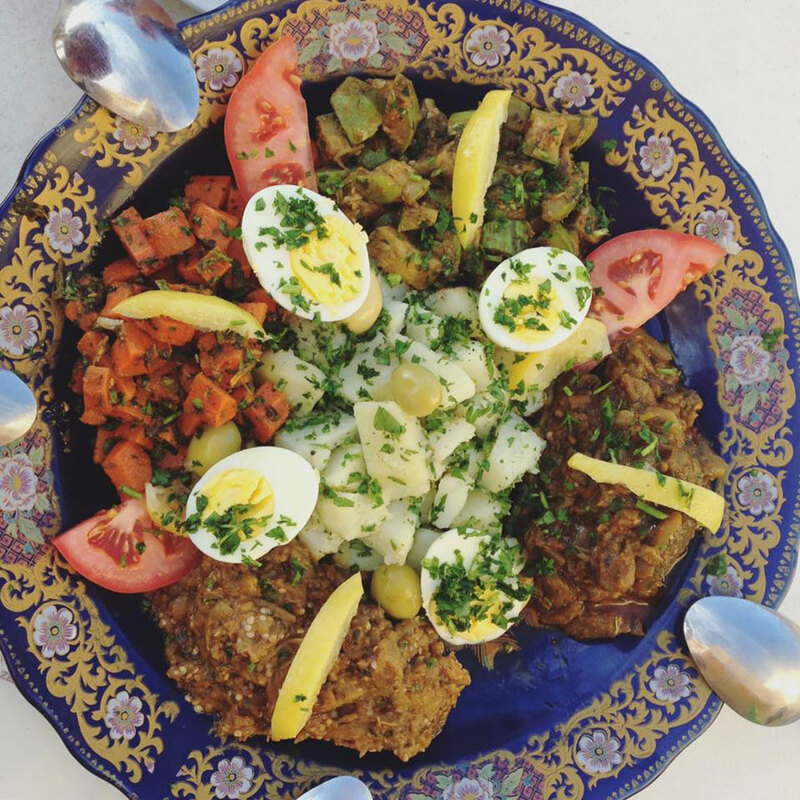 The kefta appetizers, the warm eggplant and pepper salads, the lemon chicken and olive tajine were delicious. We were also served very nice Morocan white and red wines. Our experience with Chamsi and her family was wonderful. She made us feel so welcome. Together, under her supervision, we prepared several dishes of delicious foods that we enjoyed eating together. It was really a highlight of our trip to Morocco, and I would encourage anyone who is visiting Casablanca to book this experience. I'm sure you would love it as much as we did. This was the BEST part of our entire trip to Morocco, and Chamsi could not have been more helpful and welcoming. She met us at our hotel and headed through Ramadan traffic to the market. It was a truly immersive experience as we shopped for the things we needed for lunch. We even picked out things we wanted for dessert, which was awesome. Back at her house, we felt welcome and involved in everything. Lunch and our conversation were wonderful. We needed to leave a bit early, and she was very accommodating to our revised schedule. I highly recommend her for this tour and class. Absolutely loved my time with Chamsi. Her hospitality is second to none and as well as having an amazing lesson in making Cous Cous Royale, I left with several gifts and some last minute local cinnamon from her own stock. We spent time laughing, chatting and swapping stories as well as cleaning, chopping and cooking our purchases from the market. 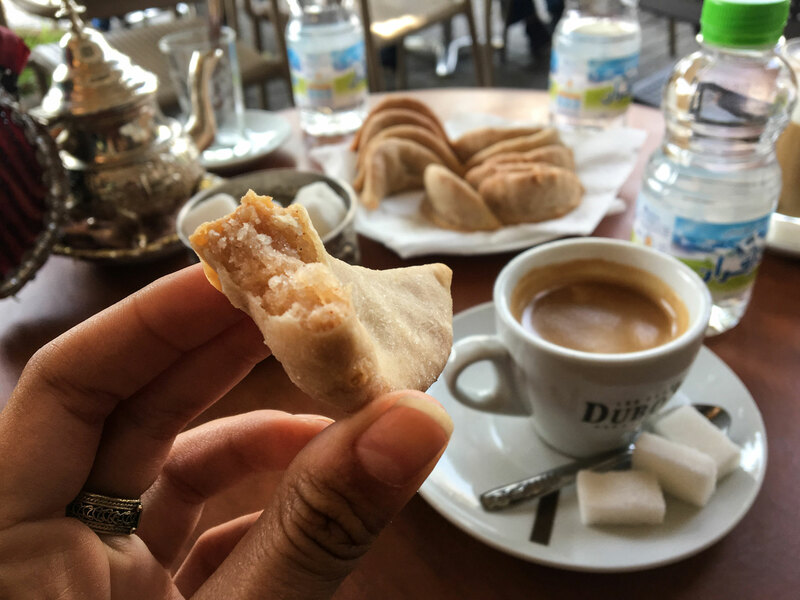 If you want a great and memorable time as well as being able to leave with local knowledge of the flavours of Morocco and the ability to cook an authentic meal, this is the tour to take. We really enjoyed being welcomed into Chamsi's home and learning more about culture in Casablanca. She gave us a tour of two markets, both of which she shops at regularly and knows the merchants well. 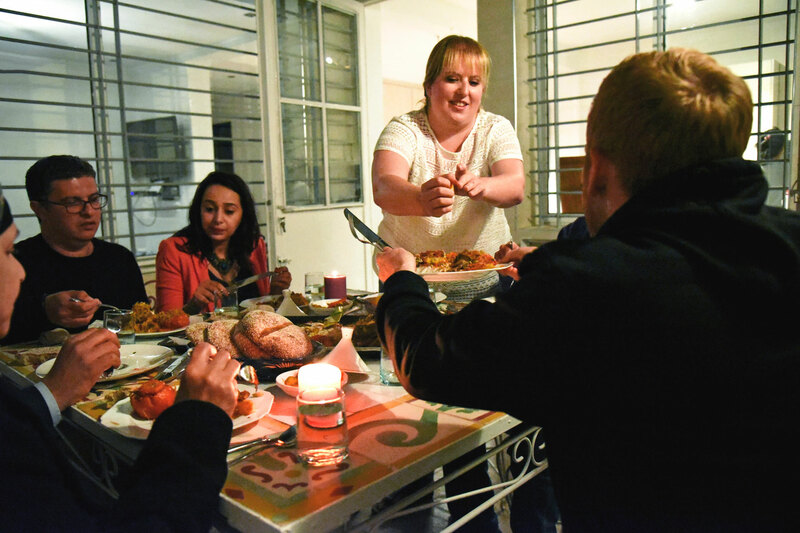 We then cooked a delicious meal in her home that was created specifically for us. The food was fabulous and the company was warm and friendly. I could not recommend the experience more. Honestly one of outmost fun experiences EVER! Chamsi was a delight, the shopping, cooking and eating were amazing! Getting to spend time in her home with her husband and son was so special. We learned a lot about the use of Moroccan way of use of fresh in season ingredients and amaxing spices. Excellent. Chamsi and her family were lovely, charming, very friendly and really made us feel like we were part of her family. We wholeheartedly recommend this experience! My tour with Chamsi was absolutely the best way to start my holiday in Casablanca. Prior to the tour Chamsi and I communicated by email and WhatsApp and it was very clear of the pick up arrangements and my food preferences. The market tour was excellent. Chamsi and her husband took their time showing me around the stalls and talking with the stall owners and relaying back to me the stories. 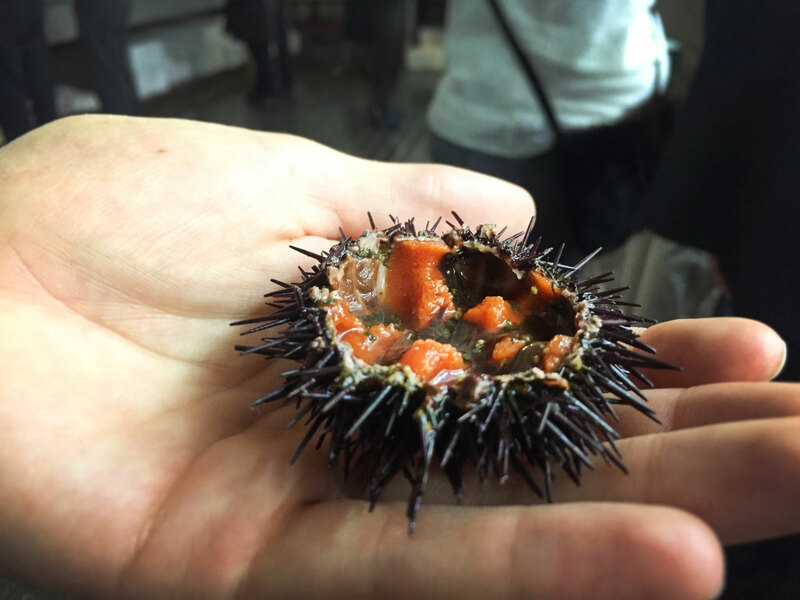 I got to try all different things - fresh seafood, patisserie items, oranges, cactus fruit, olives - I felt like I was part of the community, and was so full before the cooking class had even started!! 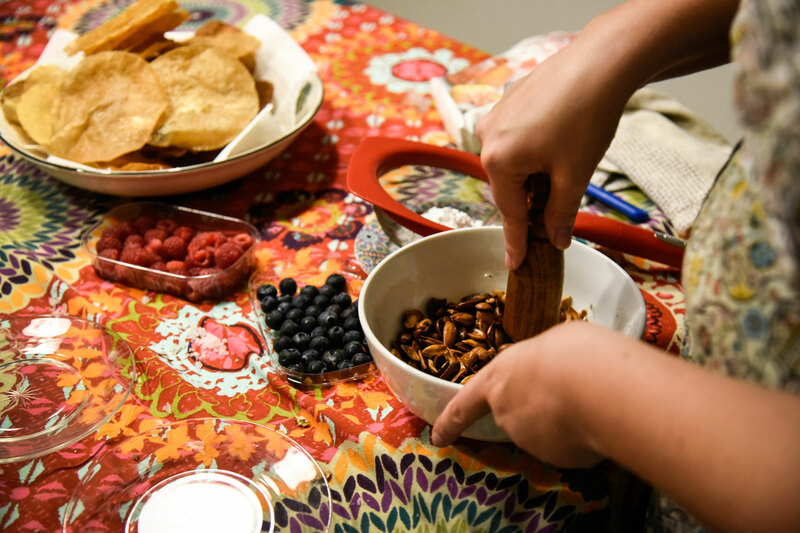 Back at Chamsis beautiful home we cooked up a feast at a leisurely pace, sharing stories, having drinks all whilst learning about the dishes we were preparing. 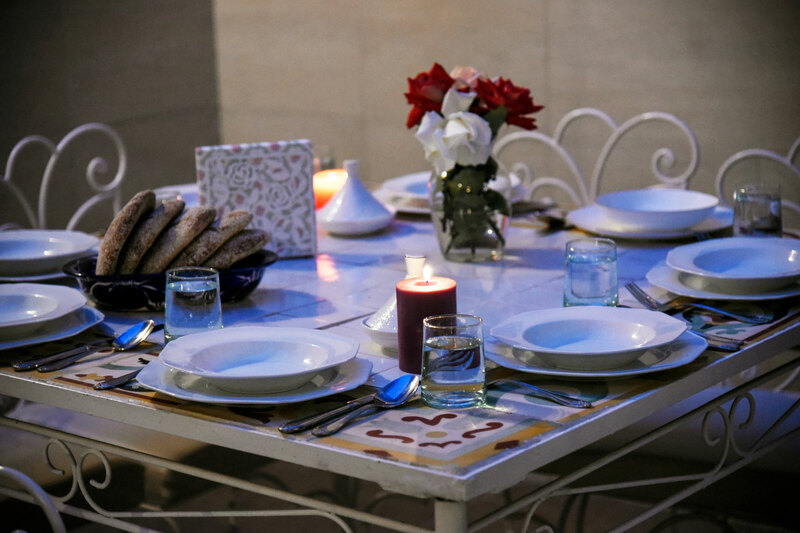 We sat and enjoyed the delicious meal we had prepared together and before I knew it, it was late in the day and time to leave. I cant recommend this experience highly enough!! And be brave, give the camel burgers a try!! Chamsi and her family were warm, welcoming hosts. The food was presented beautifully and delicious. The conversation was great. We would recommend this experience to anyone traveling to Casablanca. A great experience, wonderful hospitality shown by Chamsi. Chamsi was so caring, patient and lovely...it was the best experience of our stay in Morocco. It was the perfect day spent with a Moroccan family and more! The cooking, the market the house and just being in Chamsi's company was pure joy. She was excellent at communication with me before during and after our experience and she was patient and charming throughout the day....even getting my husband in the kitchen :) and of course she is an incredible cook. An absolute highlight. Just do it!!!! The tour in the market was a lot of fun and knowledge. We had lunch in the market and then went home to cook. Food came out delicious, company was great. Chamsis family excepted me as a family member and it was fun. Best way to see Casablanca. A great experience and would highly recommend to anyone wanting a hands on experience. The market tour was great and Chamsi, Badi and Sami were wonderful hosts. Thank you for a wonderful day. 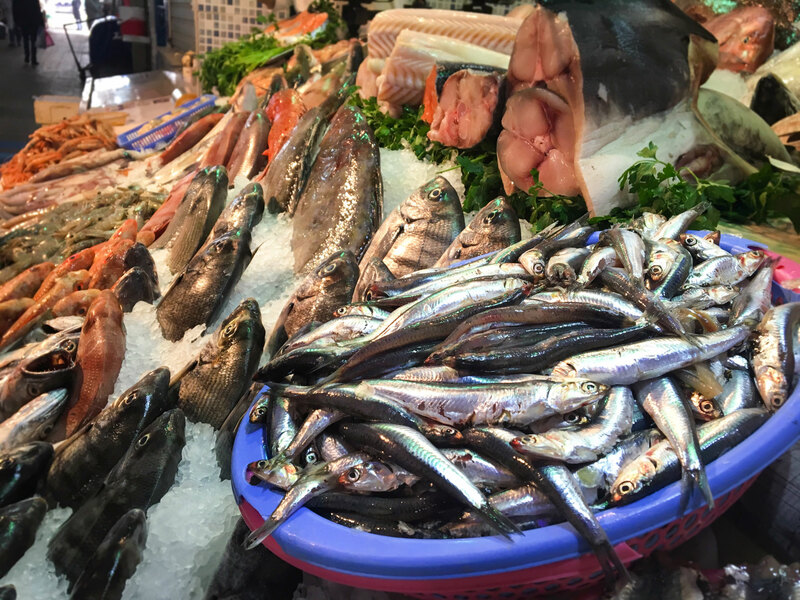 What fun to be able to go to the fish market with a local to buy our food, then to be in a home in Morocco to actually learn how to cook Moroccan food. Chamsi was a wonderful host and a great cook. She explained all the spices used well and gave us cultural information to help us understand the cooking we did. Overall a great day! Excellent experience. Host was welcoming and provided lots of information about Casablanca and the food. She encouraged us to participate in preparing our meal. Her home and family were delightful. We had a phenomenal time. Dinner at Chamsi's was awesome! Beautiful house, and her husband Badr/son Sammy were both lots of fun too. The meal was amazing. 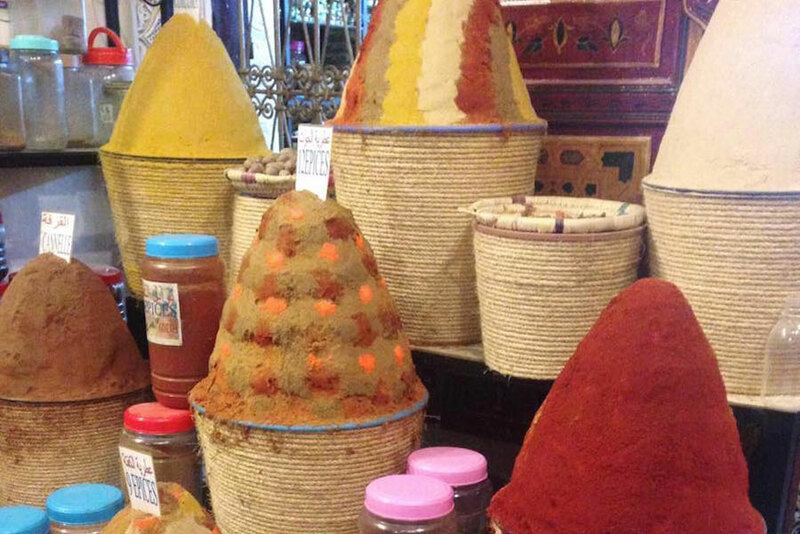 Great way to get a local and more authentic look at Moroccan culture and in someone's home. This experience was definitely unforgettable! I'm so happy my boyfriend and I decided to try this out. Chamsi and her family are lovely hosts with such open hearts and kind spirits. Overall, we were surprised at the eloquent lifestyle of this area in Casablanca. It's definitely different than the rural parts of Morocco we saw in the rest of our trip! Chamsi and her family showed us a real, authentic perspective and were happy to answer any questions we had about Morocco. It's hard to say what my favorite part of the experience was, but some of the highlights were definitely spending some nice quality time with locals and getting to see all the markets. I'm also very happy to bring home some new cooking ideas! I had an amazing experience with Chamsi. She communicated prior to the cooking experience to found out my preferences and give transport instructions. Chamsi picked me up from the tram and then went to her beautiful home. She was extremely hospitable and kind. 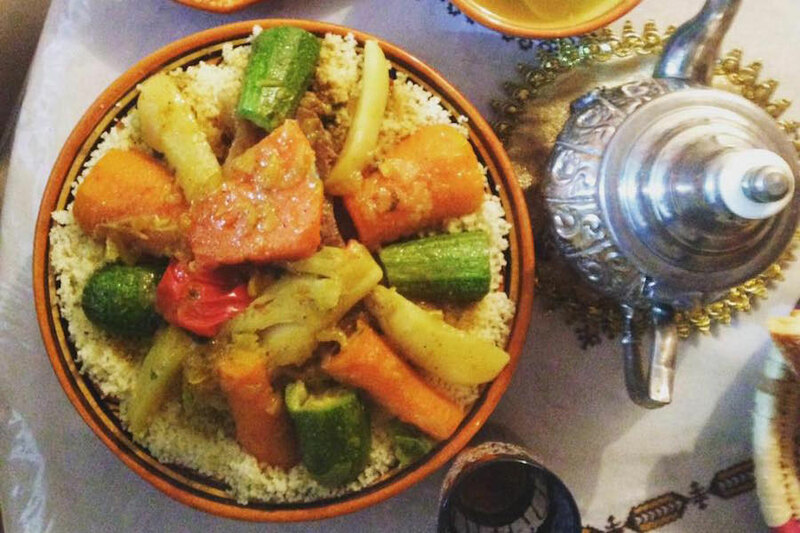 Chamsi explained so much about Moroccan culture & cuisine, I felt like I had a big step in understanding at the start of my Moroccan trip. I loved going to the market with Chamsi and then cooking with her. She was very patient and explained everything well. And then the best part - getting to eat it all! It was absolutely delicious and well-presented. Chamsi also sent me off with a goody-bag of sweet treats. This experience was amazing and I cannot recommend a Traveling Spoon experience with Chamsi enough!! !